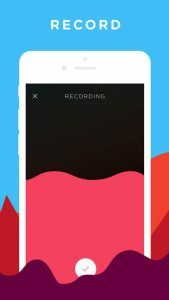 Recording, editing, and sharing a podcast has never been easier! As featured in TechCrunch, Mashable, Paste Magazine, The Next Web, Nieman Lab, and more. All you need is your phone to capture high-quality audio, edit your recording, and produce your podcast using our free sound library. Publish your podcast to Bumpers, export to iTunes, and share it everywhere else. No prior audio experience necessary.